Our low cost range of LED floodlights provide a great energy saving alternative to old halogen floods. Now that LED technology has a comparable upfront cost to halogen the savings created over its working lifetime from their low energy usage provide an excellent argument for your next flood light to use LED technology. See the latest manufacturer information on which dimmers have been tested and are compatible with their LED lamps. 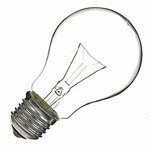 Compatibility lists from Philips, Osram, Megaman, Sylvania, GE and Bell. 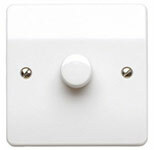 > Read more about:Which dimmer switches are compatible with my LEDs?